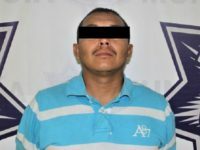 A large police operation in Juarez, Mexico, led to the capture of the former leader of “Los Azteca’s” criminal gang, turned member of the armed wing of the Juarez Cartel, “’La Línea.” The Municipal Police of the border city of Juarez carried out the operation during the early morning hours of May 24, 2018. 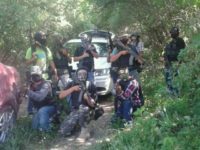 Authorities in Ciudad Juarez, Chihuahua, arrested eight hitmen for Los Aztecas suspected in 16 cartel assassinations in the last three months. The 58-year-old male accused of leading the cell was also captured. 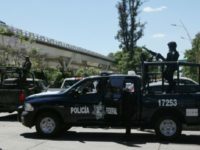 The border state of Chihuahua continues to be a hotbed for violence where cartel gunmen carry out ambushes and attacks on law enforcement officials. The attacks on authorities appear to be an effort to keep law enforcement out of the ongoing fight for control of the state’s lucrative drug trafficking territories and routes. 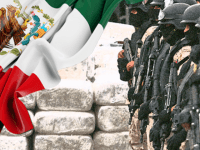 The power vacuum felt following the arrest of a top regional cartel boss is likely to cause a spike–or at least sustain–the ongoing violence rocking the Mexican border state of Chihuahua. 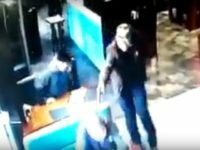 Mexican authorities continue looking into the recent murder of a key federal intelligence agent who operated in the violent border state of Chihuahua. During the assassination attempt, the gunmen also killed the agent’s mother. The recent attack at a drug rehab center in the border state of Chihuahua brings back a long-standing practice used by cartel gunmen dating back years. Getting to their rivals when their guards are down, gunmen often target drug centers and clinics which often leads to multiple innocent casualties. 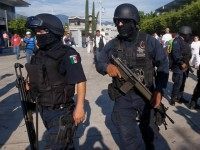 At least 16 victims were gunned down inside a drug rehabilitation center in the Mexican state of Chihuahua by heavily armed cartel hitmen wearing tactical gear. 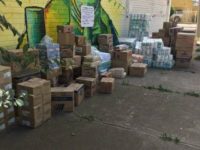 Una peligrosa célula del Cartel de Sinaloa llamada Gente Nueva, del estado fronterizo de Chihuahua, se unió a los esfuerzos para ayudar a las víctimas del terremoto de Mexico al donar artículos de emergencia y comida. 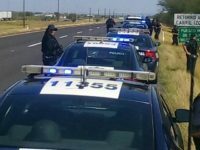 At least 15 gunmen were killed during a fierce clash between the Sinaloa cartel and their rivals, La Linea, in the southern part of Chihuahua. One of the main news outlets in the Mexican border state of Chihuahua has shut down its operations after the murder of one of its journalists, multiple threats, and the complete lack of security conditions. 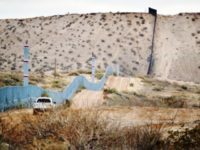 The murder of a respected journalist in the Mexican state of Chihuahua appears to be driven by her work exposing the close ties between government officials and the Juarez Cartel. One of those investigations pointed to the mother-in-law of a cartel boss trying to run for mayor, while others looked into how the former governor of that state protected certain criminal organizations. 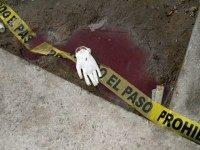 A Mexican cartel appears to be behind the murder of a respected journalist in the border state of Chihuahua. At the crime scene, cartel members left a note stating that the murder was due to her reporting. 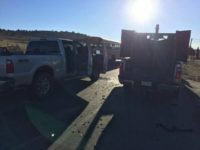 Citizen journalists in the rural communities of Chihuahua recorded scenes of despair caused by a fierce clash between members of the Juarez Cartel. The fighting left at least eight people dead and four police officers injured. 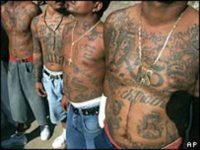 A lieutenant in the Bario Azteca gang admitted in a San Antonio federal court to his role in a conspiracy to commit murder in a foreign country, racketeering, distributing controlled substances, importing heroin, cocaine and marijuana, and money laundering. ST. BERNARD PARISH, Louisiana – A total of 19 Louisiana residents, including three juveniles, were arrested by the St. Bernard Parish Sheriff’s Office for their alleged involvement in distributing cocaine and heroin throughout the area. A Roswell, New Mexico man pleaded guilty in a federal court Wednesday to conspiracy and drug trafficking charges. 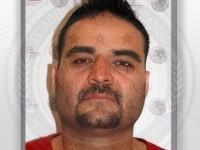 The charges were part of a conspiracy that landed 41 people in jail for their roles in trafficking drugs in an area reported to be under the control of the Juarez drug cartel. Democratic presidential front-runner Hillary Clinton has claimed that Mexico’s corruption and scandal-plagued President Enrique Peña Nieto is America’s friend. The same president that has been accused by Mexican media of taking cartel money for his campaign while the country continues to see rising levels of violence, criminal impunity, and smuggling. An in-depth investigation has revealed that through the use of shell companies, members of the Juarez Cartel financed the political campaign of Mexican President Enrique Pena Nieto. The cartel members appear to have also used government programs to launder money and profit form their networks of contacts. The victims and family members of cartel violence have taken their fight to one of the entities they claim has allowed for the explosive growth of Mexican organized crime — international banks. The former police chief of Juarez is blaming the current police chief for the brutal assassination attempt he suffered earlier this month. 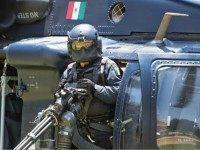 The Mexican government has announced the capture of the man described as the heir to the Juarez Cartel. 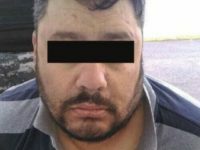 The capture of Jesus “El Chuyin” Salas Aguayo was not an easy one since the capo and his men appear to have put up a fight in the town of Ahumada Chihuahua. 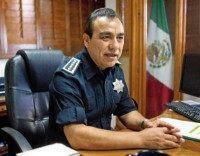 The firefight left at least one person dead and led to Mexican authorities seizing various vehicles, weapons, communication equipment and drugs, said Mexico’s National Security Commissioner Monte Alejandro Rubido in a televised press conference. Dozens of law enforcement raids in the El Paso area have led to the arrest of at least thirty-four people allegedly connected to the Barrio Azteca gang. 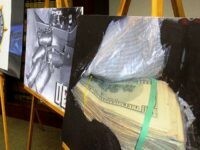 The arrests stem from a multi-agency task force that obtained indictments on fifty-five individuals on both state and federal charges related to drug dealing, extortion, money laundering and murder. Fifteen people remain at large at this time.